Today, with more than 60 years of experience in the transformer industry, Marcus not only excelled in quality of product and customer service, but also proved to be a leader in innovative technology, customer care and reliability. Marcus provides custom products for special "sensitive" applications, such as extra quiet, lowest temperature rise, low impedance, smallest footprint, etc. We offer blanket releases for just-in-time deliveries. 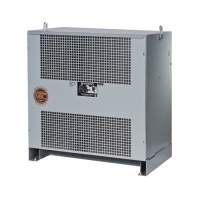 Most of our transformers are "installer-friendly", both to connect and to mount. All transformers are manufactured in our factories in North America. Marcus Transformer models meet the following agency standards (where applicable): UL, CSA, CUL, CE.